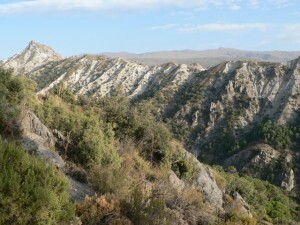 This is a pleasant loop around Cerro Huenes, a small mountain on the edge of the Sierra Nevada. 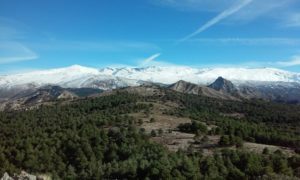 For the first part of the walk you have views down to the city of Granada, while later you can see up to the higher mountains to your south, including Veleta. Mostly the path runs through quite open countryside, but there are a few short sections of forest. Level This is a moderate walk, which involves a fair amount of climbing, but is not particularly difficult. It is all on good paths and tracks, so easy underfoot. It is an official, signposted walking route, so it is easy to follow. When to go The walk is possible at any time of year, but spring and autumn are most recommended. There are sections with little shade to protect you from the heat, so it is essential to start out early in summer. In winter, check the snow level before setting out, as there is quite often snow at these altitudes. Water It is best to take the water you need for the whole walk with you. 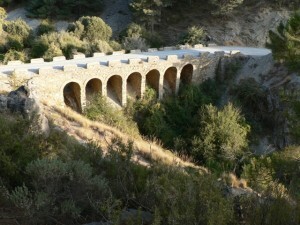 By Car: From Granada, take the La Zubia exit from the southern ring road (Ronda Sur). When you reach La Zubia go straight on at the traffic lights then take a left signposted to Cumbres Verdes (you cannot turn left directly, so continue up to the roundabout, do a u-turn and then turn right). Then follow signs to Cumbres Verdes. You soon enter the Sierra Nevada Natural Park, and, after a few kilometres, pass Cumbres Verdes on your right. The road then turns into a dirt track. Follow this for 1.5km until you reach Fuente del Hervidero (turn off left). Either park here or carry on 1km to another car park at the trailhead, but bear in mind that this stretch of road is often in poor condition. 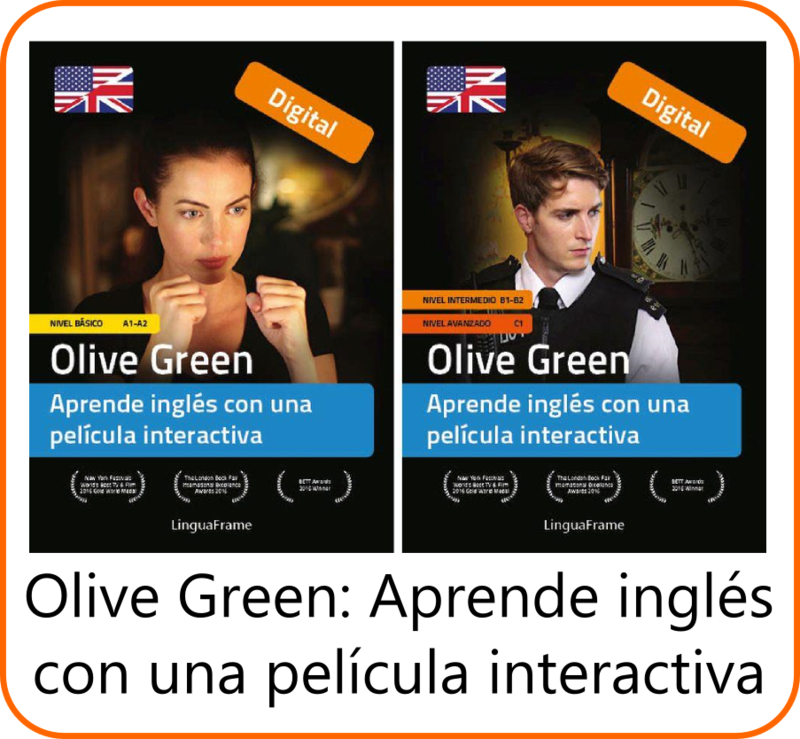 This entry was posted in 3-5 hours, All Hikes, Autumn, Fuente del Hervidero, Spring, Summer, Winter. Bookmark the permalink.